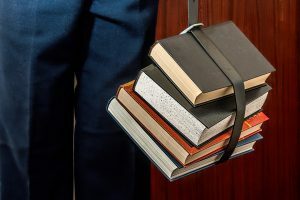 Choosing college courses is difficult for any student, but it is particularly challenging for student athletes who also must factor in their demanding athletic obligations. Don’t worry! Here are some tips to help you choose the right college courses which will advance your career – both academically and athletically. To say that you are going to be “busy” as a student athlete is a big understatement. During the season, the NCAA allows a maximum of 20 hours per week to be spent on athletics. However, when you factor in the non-countable hours such travel time for games and voluntary training activities, student athletes spend a lot more than this on their sport. As a student, you will probably be in class for about 12-15 hours per week and need to spend around 30 hours studying for those classes. This adds up to around 80+ hours per week on sports and academics! Read more about how student athletes spend their time here. Find out when your trainings will be. Some sports hold trainings in the early morning whereas others are in the evening. Then try to schedule all of your courses for the opposite time period. It might not seem like a big deal to choose a class which starts at 8:30am instead of 9:00am, but this small chunk of time could make a huge difference — like whether you will be able to have breakfast or not. To help you better understand your schedule, make a spreadsheet. You will need to break it down into 30 minute time intervals. First fill out your non-flexible obligations such as training times. Then fill in the blanks with some courses. Learn more about how to make a student-athlete schedule here. College basketball games are mostly on Saturdays and Thursdays. Hockey also has games mostly on Saturdays and Thursdays. With college soccer, games are mostly on Saturdays. Keep game day in mind when making your schedule. You don’t want to have a full course load on game day or even on the day before a big game. In most American universities, you don’t have to choose your major until the end of your sophomore year. This gives you time to sample a wide variety of courses and find out which subjects really interest you. Even if you know what your major is going to be when you enter college, it is still good to get outside your bubble and take different courses which have nothing to do with your major. Why is this so important? As Big Future points out, your major isn’t necessarily the same as your future career. For example, a degree in English literature could lead to a career in publishing, PR, law, or many other fields. Taking a variety of classes can help you find out how to best apply your degree in the real world. Taking classes outside of your major can also result in amazing innovations when you apply knowledge from one field to the other. For example, consider how neuroscientists are now using computer programming to map out the human brain. If a neuroscience major hadn’t had the idea to take a programming class, it might never have happened. Need help choosing a major? Start by reading this great article about dumb mistakes students make when choosing a major. A lot of students choose a course because someone told them that the course was easy. This is terrible reason to choose a course! First off, what is “easy” for one person might be very difficult for you. If you aren’t really interested in the course, then it will be difficult for you to get involved in the coursework, making even the most basic assignments seem painful and tedious. It is much better to choose the courses which actually interest you. When you are interested in the course subject, even the most challenging assignments will come easier to you. A lot of student athletes will find out what courses their teammates are taking and then sign up for these. Yes, it might be nice to come into a class on the first day and already know some people. But, in the long run, this method of choosing classes is going to hurt you. You are already going to be spending a LOT of time with your teammates. By taking the same classes as them, you will never leave your “sports bubble” and meet people outside of the athletic department. As Financial Blogger writes about here, meeting new people with different interests is one of the big benefits of college. One of the benefits of being a student athlete is that you will have an advisor you can turn to for help with scheduling courses and making sure you are meeting all obligations. Take advantage of this by meeting with your advisor early on! When reading the course offerings, remember that the title only can tell you so much. To really find out what the course is about, you’ve got to read the course outline. The outline will tell you exactly what to expect out of the class during the semester. If you take the time to read the course outlines carefully, it won’t be such a surprise when your Physical Therapy 101 course jumps into a module about payment plans and reimbursement. Keep this in mind when choosing your college courses. You don’t want to end up taking all lecture classes and getting really bored from sitting and taking notes for hours on end. You also don’t want to take too many lab classes at once and end up spending hours in classes and finding it really hard to make up missed classes (as a student athlete, you will be missing classes on game days). Likewise, try to balance out the workload of the classes. Do you really want to write 5 papers all at once, or have to do 5 problem sets all at once? Some courses fill up quickly, so make sure you register early so you can claim your spot. Just in case the class is filled, always make sure to have a backup plan! Student athletes must learn to be flexible with their time if they want to succeed.